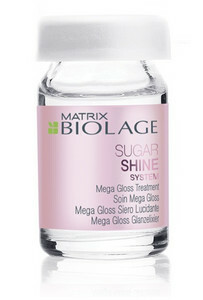 High gloss treatment provides mirror-like shine, and hydrates for effortless manageability. Apply one dose of treatment to hair after rinsing Sugar Shine Conditioner. Massage into hair. Leave on for five minutes. Rinse.